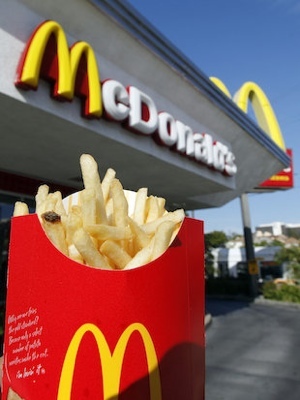 James Hackett, 26, is facing a felony assault charge after allegedly throwing an order of “hot and oily” McDonald’s french fries at his 11-year-old stepdaughter, according to a Lowell, Massachusetts, police report posted on The Smoking Gun. His wife then called the police, who tracked down Hackett and arrested him. Hackett appeared in District Court on Monday and pleaded not guilty to the assault and battery count. He is currently free on bail and faces a pretrial conference on August 10.